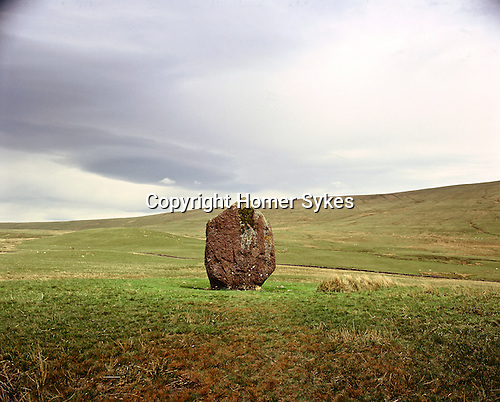 Maen Llia Nr Ystradfellte, Powys Wales. Celtic Britain published by Orion. A diamond shaped Bronze Age standing Stone.